I remember just two years ago I was complaining about the lack of ramen shops available in London. I even asked Eatnoodleslovenoodles at the time, and he only seems to know of one place in London. Now ramen has been exploding the scene, Bone daddies were the second place I went to some time last year. The first attempt on a Friday night we saw queues all around the block. My friend and I just turned our backs and walked away to eat somewhere else. The following week on a Monday evening I managed to get seats within 15-20 mins by the window. Ross Shonhan former head chef of Zuma and Nobu is behind bone daddies. The place is full of high stools, and I did found it a little claustrophobic sitting in between 4 people by the window. Clearly you won’t be disappointed by what Bone Daddies have on offer, there’s 8 varieties of ramen to choose from. One being just a salad, no chicken broth, just pure vegetables and some meat, which my friend surprised me and ordered for his main course. I ordered “Tonkotsu”, with no extra sides or starters; this was the night that would be remembered as the time we ate at 6 places in one evening. When the ramen arrived, the first thing you notice is the rich, intense bold cream like broth, glossy with fat floating on top. I read somewhere the soup takes 20 hours to cook. It was so rich I failed to drink all the soup up, and gave me a sore throat the very next day, but it was all worth it. The noodles had a nice springiness and bite, the pork and egg had a nice texture, although I prefer Tonkotsu eggs. The portion was great served in a large clay bowls. 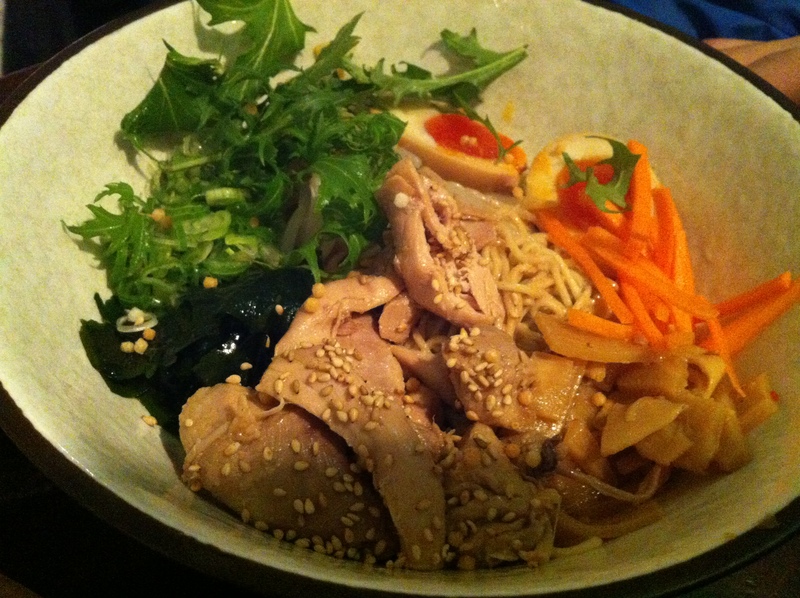 My friend loved his salad ramen, I had a bite and that too had rich flavours going on and he ate everything clean. 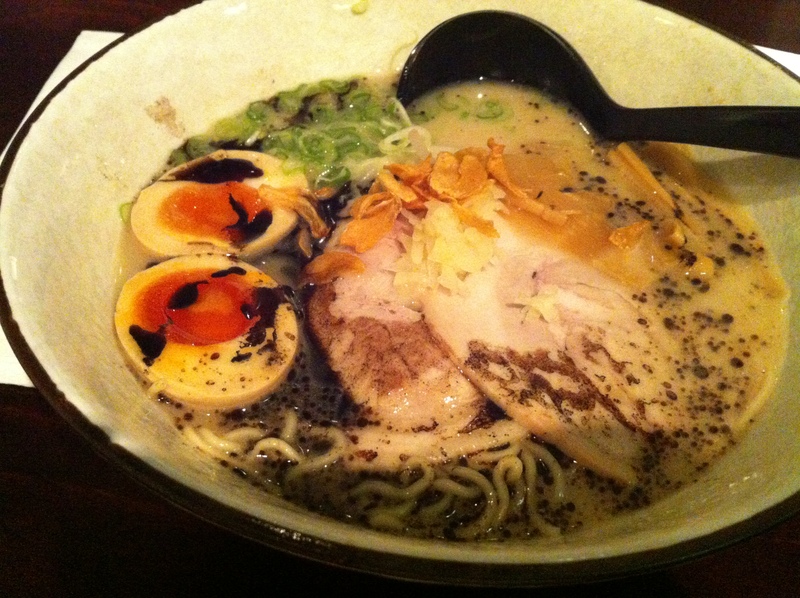 Shoryu review will be coming soon, out of the 3-ramen places I’ve tried Bone Daddies was my favourite. “this was the night that would be remembered as the time we ate at 6 places in one evening” !!!!!!! 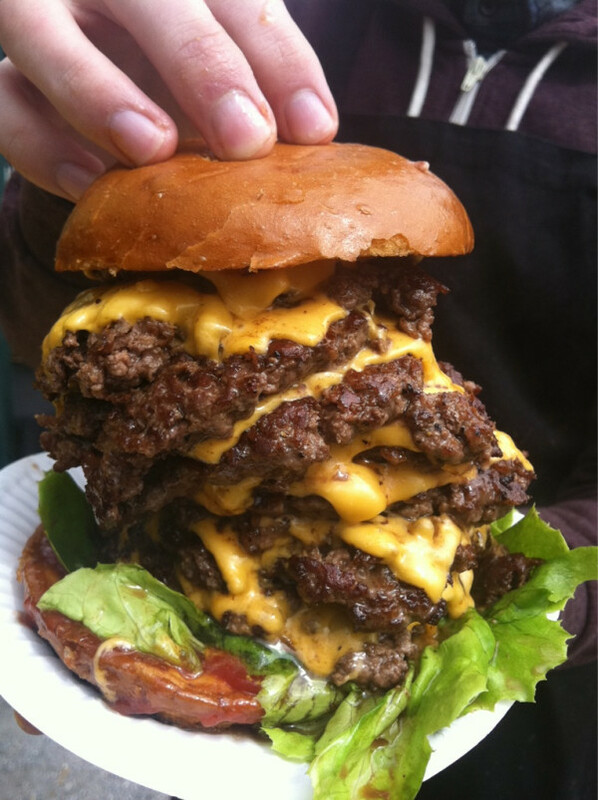 Are you training for Man vs Food?! lol, no the person I went out to eat with eats so much! have you checked out the “girl vs food” red dog saloon post? You be entertained. WOW! I’m planning to go mother flipper on a Saturday. Let me know how it goes. Not sure if it’s your blog layout or my browsers I can never use the comments on your blog. try google id if wordpress doesnt work?